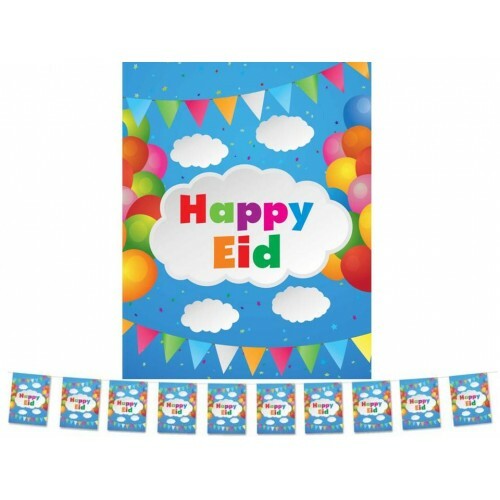 Children with love the bright colours, balloons and flags on this Happy Eid flags. 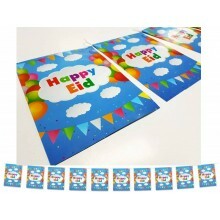 Each Flag is 17 cm wide 22.5cm long. Match with these with Happy Eid Double Banner and multi coloured Happy Eid balloons to make this Eid the best ever.